The source of the Nile in Jinja, Uganda. Whether you want to go river rafting or bird watching, you can find plenty of nature activities in Jinja, Uganda. Among the outdoor activities that you might find appealing include white-river rafting, a trip to the mouth of the Nile River or the “Source of the Nile,” a visit to the private sailing club along the Lake Victoria shore, and animal watching at the Buwenge animal sanctuary. 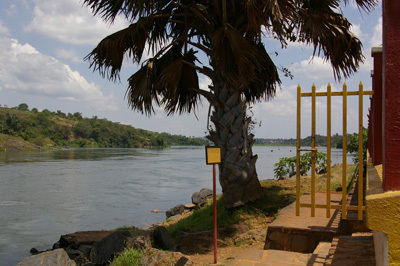 You can also get beautiful views of the Nile River and Lake Victoria without getting wet with a visit to a 9-hole golf course in Jinja – the second green on the course is right on the lob wedge of the famous “Source of the Nile.” The “Source of the Nile” is also known for the small memorial garden where Mahatma Gandhi’s ashes were scattered. Gandhi admirers could also visit Jinja’s Hindu temple where a bronze Gandhi bust is housed. Located in eastern Uganda, Jinja ranks next to the Ugandan capital city of Kampala in terms of commercial activity. Its shop facades speak of the rich Indian heritage of Jinja. Trading plays a large part of Jinja’s economy. With the improvement of roads and infrastructure in the 1990s, however, much of the trading that was conducted in Jinja was diverted to Kampala. Despite this, you can find a number of manufacturing industries in Jinja. One of East Africa’s largest sugar factories, Kakira Sugar Works, is in fact located in Jinja. Other industries that have chosen to locate in Jinja include metal and paper processing, grain milling, coffee growing, and brewing. The Nile Breweries headquarters is one of the local tourist attractions in Jinja. The brewery is situated right at the Source of the Nile. It is notable to point out that it is from the Source of the Nile where the brewery has drawn its water supply for the past fifty years.